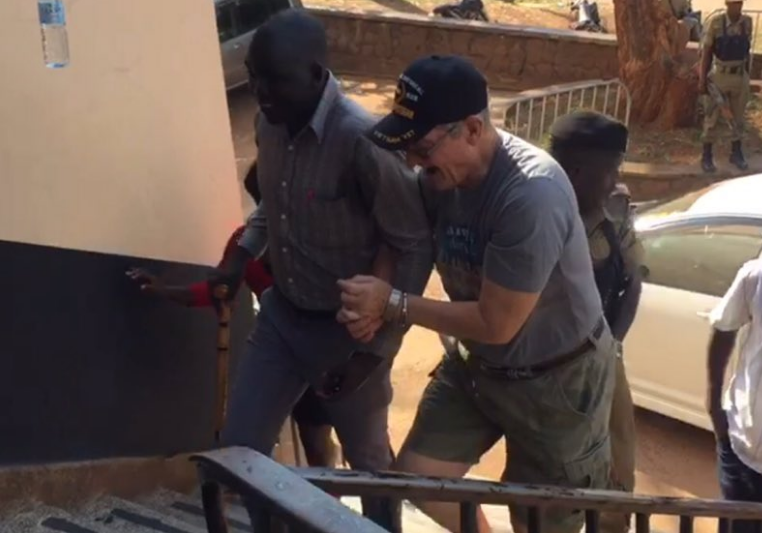 KAMPALA – Police in Kampala have arrested a US citizen who was filmed assaulting an employee of Grand Imperial Hotel Kampala on Friday morning. Jimmy L Taylor, who arrived in the country a few days back, is currently detained at Kampala Central Police Station. Mr Owoyesigyire said the suspect was charged with assault and will be arraigned in court next week. “We are investigating charges of assault and we are currently recording statements from eyewitnesses. We shall take him to court as soon as investigations are done,” he said. Police is also reviewing the video that was captured by CCTV cameras as Mr Taylor unleashed brutality on a gentleman who was on his duties at the reception. The victim has also reportedly recorded a statement with police giving an account of what transpired.